Sanjay Dhull, a student of B.Ed at Panjab University, who won the best NCC volunteer award besides getting the second position in the state-level parade, is all smiles as he tells you how he has been a part of the PU parade four times. Their enthusiasm is infectious, their energy, elevating. 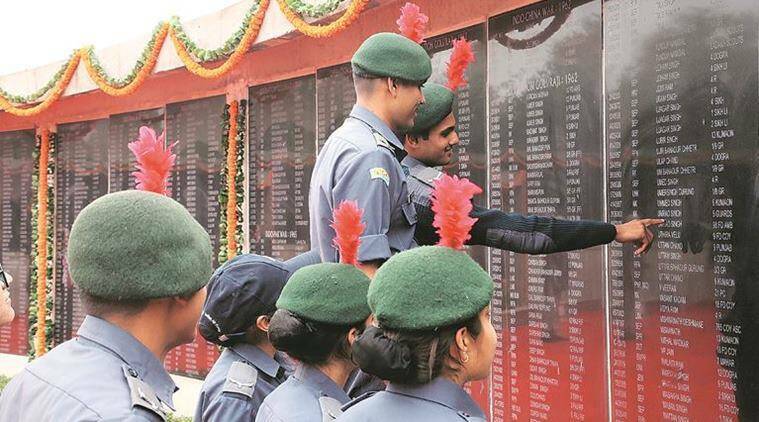 Meet the NCC cadets who bagged a host of awards at the 70th Republic Day parade in Sector 17 last week. Regardless of the differences in their background or academic profiles, they are united in their desire to join the Indian armed forces. Sanjay Dhull, a student of B.Ed at Panjab University, who won the best NCC volunteer award besides getting the second position in the state-level parade, is all smiles as he tells you how he has been a part of the PU parade four times. “I want to serve my motherland, the rest is up to my destiny,” he says, telling you how he is doing the best to crack the combined defence services examination for entrance to the Indian Military Academy, the first step to becoming an army officer. It’s an ambition he shares with Jyoti Sharma, who is studying B.Sc at DAV College. A member of the Air Wing of the NCC, she says, “NCC makes you mentally and physically strong, it prepares you for life. When we talk of discipline there is no other institution better than NCC,” says the girl who wants to join the Indian Air Force. NCC camps, he says, are a big help as they frequently invite distinguished speakers from various walks of life. “Such interactions are great for personality development.” Sohail Khan, the senior cadet commander of the Naval wing and a student of Post Graduate Government College, Sector 46, says his sole purpose is to join the army. “I don’t care if I make it as a soldier or as an officer, but I want to don the olive green,” he declares. Sahil Kumar, a student of BCA at the Post Graduate Government College, Sector 11, can understand Khan’s passion. A national-level volleyball player from Punjab, Sahil says NCC has helped him in getting physically and mentally fit. “It’s also not just about physical drills, it also provides us ample opportunities to pursue a career in art, culture and sports,” he says. NCC is the largest uniformed youth organisation in the world that aims to promote unity and discipline among youngsters.